Ever sick of trying to catch a 300 cp pidgey? In this blog, we considers two ways of farming experiences: sitting near a lure cluster and catch everything, or going on a bike spinning pokestops and occasionally catching. 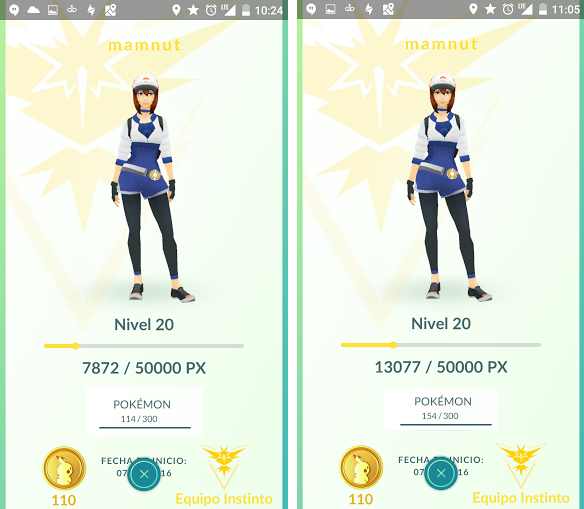 In this comparison study we find that with a generous approximation, lure farming yields a rate of 300 exp / min, while pokestop farming yields a rate of 309 exp / min. We'd like to advocate pokestop farming because it is faster and more healthy, and without the pokemon cruelty of poke-trafficking and cannibalism. 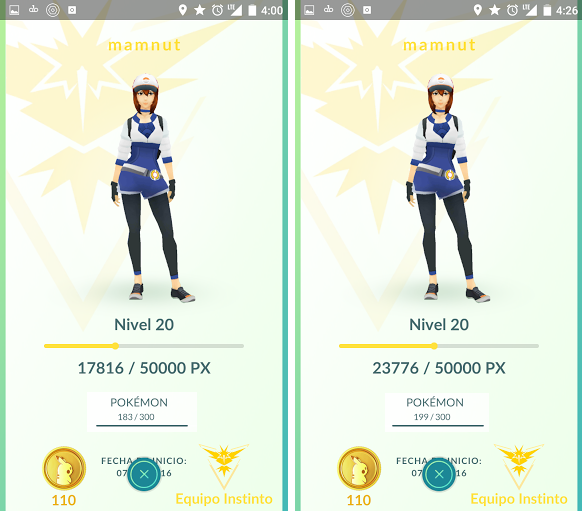 Today I decided to do a full comparative study between lure farming vs pokestop farming, as a follow up to yesterday's blog post on the issue. 3) you can STILL farm pidgeys, arguably even better. This is a huge benefit. You are traveling long distances, and you can pick and choose which pokemon to capture, and which one to ignore. 4) you can hatch eggs. 5) you get to make decisions on the fly, which is fun: do I catch this pokemon or spin more stops? Is my route optimal? 6) most importantly, really, it's just more fun... riding around, multitasking, instead of watching the freaking same pidgeon evolving animation n times in a row, it's mind destroying. 7) it's free. no incense, no lure modules. I headed out earlier today with some friends and stumbled upon a group of people farming pokemons near a lure cluster. The cluster consists of 3 pokestops in close proximity. I sat next to them and applied an incense to myself. For the rest 25 pokemons not suitable for evolution, let's make a very generous over approximation and say we caught 25 additional ratatats. note: I'm ignoring the additional candy u get from evolution itself, so these number should be bit higher. I did the usual pokestop farming using the same route from yesterday during night time when nobody is around campus. Here is a screenshot of me half-way through the run, as you can see on my route some pokestops are not yet refreshed, so I opt to catch the ratata close to me instead. Even making a very generous approximation, assuming the 25 random pokemon caught during my lure session are all ratatas, which can be used for evolution, the pokestop farming method yields more exp / min. 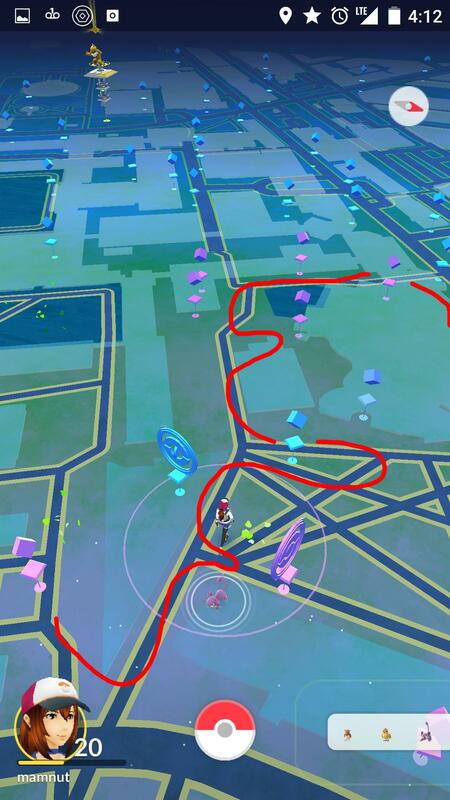 Thus we can say as far as this comparison goes, it is more efficient to farm pokestops if you live in an area with a large number of pokestops, such as university campuses. Farming with lure is actually better for capturing moderately rare pokemons. These are not helpful if you want to focus on gaining exp, because you really only want pidgeys. On the otherhand, if you are farming pokestops, you're covering a larger area and can pick out pidgeys on the go. When is this even viable? A spin gives you 50 exp. A good basline to aim for is 200 exp / min, which means you want to spin about 4 pokestops every minute. Plan a route to see if this is possible. Just remember you can always still catch pidgeys / ratatas in the down time. What about lucky eggs? I evolve all my catch in a batch and get tons of exp!! Is lure farming daed gaem? No ofc not. You cannot ride bikes for 2 hours straight I'm assuming, at best 1 hour. So this should be a compliment to lure farming, that is more healthy, and with higher benefits. How do you have so many pokestops!? I live near an university campus. I go there around 3am in the morning and ride around campus, which has no traffic lights / cars, and pokestops aplenty. I truly think it is a huge unfair advantage I have, but hopefully I am using it to the best of my abilities as not to squander the resources, and making this blog post. How do you go through them so fast? I ride a bike with my right hand and swipe with my left hand. Keep your bike seats low so you can stop. I usually stop very briefly to make sure I get the signs. The GPS is slightly laggy so your location on the map is a bit behind of where you actually is, so get closer first. Make sure you spin it only when you're close (i.e. the icons are blue not purple/pink). Memorize where you need to be before spinning it, go there first then spin. Do not exit from the spinning page until you see the rewards popping out, then you can exit (you do not have to touch to collect the rewards). I see a pidgey / ratata, should I catch it or continue to the next signs? A pidgey is worth 5 spins, a ratata is worth 3 to 4 spins. 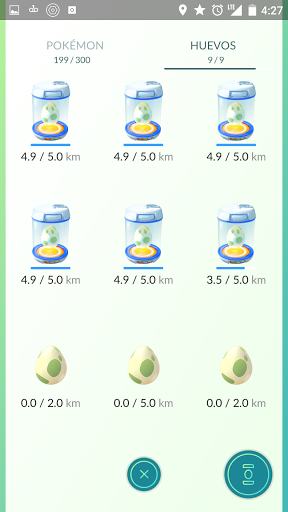 You should optimize if you can catch them before you can spin that many pokestops. Generally, for a pidgey just go for it, ratata only if CP is sufficiently low. Hopefully this is entertaining to read at least! If you want to "support" me please check out my cooking videos, you know you want to walk to the grocery store! I mostly do quick (15 min) home-made Chinese food shot in real-time. I need to find other areas in the city that might be more dense. My University was slightly better but unfortunately I didn't have much time after class to play around today. yeah you just want to make the tightest loop possible with the most dense pokestops. Takes awhile to learn the routes and some test-runs until its smooth.